If you were to look up the word ‘chaos’ in the dictionary, you very well might find a picture of The Apprehended’s At Arms Length. Well, not really, but you should. There is a striking sense of urgency woven into every note of this EP; lead single “Still Flyin’” out and out shreds thanks to intricate, angular riffs and absolutely soaring hooks, the spastic “Lysie Royalton” is Saosin meets From Autumn To Ashes, “Seam’s Gorge, WV” manages to somehow be bouncy one instant and caustic the next, the devastating “Wisteria” is perhaps all the best of what At Arms Length has to offer rolled into one explosive track, ‘I’ve been terrified of writing this song from the moment I heard it / From the minute the meaning meandered into my mind from on high / At the divine I deterred it / Delayed it / Belayed that start over / It’s amazing what our hands are capable of,’ Michael Pitt sings on powerful closer “Quick Hands/Arms Length,” which might be this EP’s best written track. 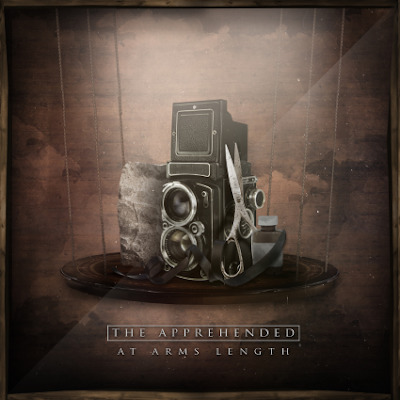 The fact that the Apprehended’s At Arms Length is so many things – honest, passionate, volatile, unpredictable – at only five tracks long really speaks to just how talented this band really is.